This subspecies had a name change in 2010 and was previously known as subspecies australis (which I had posted here). However, when I wrote that account, not all details of subsp. hesperia had filtered through to official WA records, but as that is no longer the case, it has necessitated this new post and the deletion of the old. 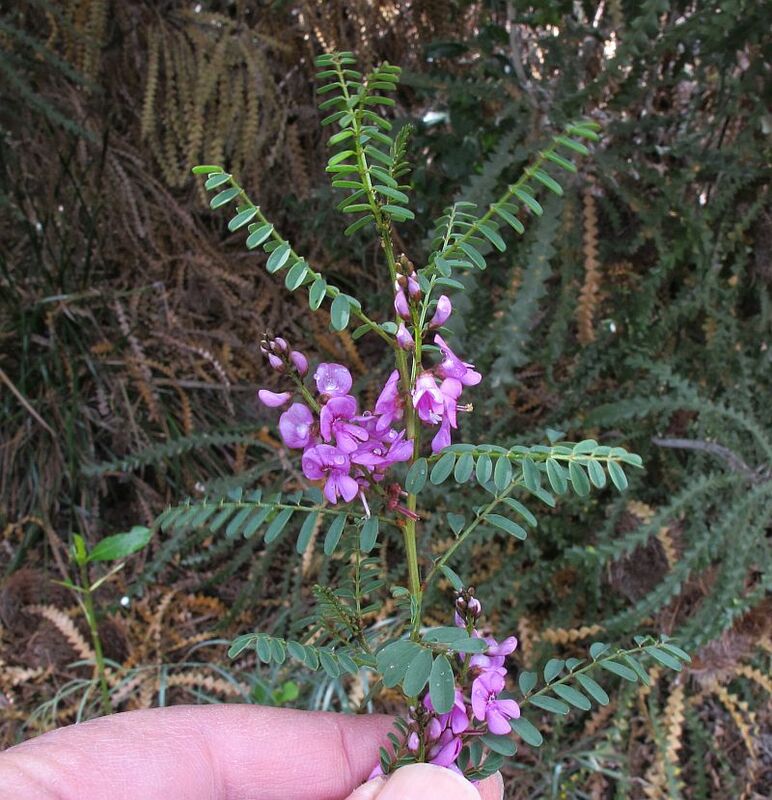 Indigofera australis subsp. 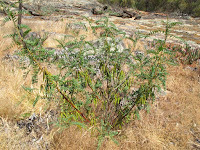 hesperia does not have the same widespread distribution as I. australis subsp. australis and only exists in the western part of SA and in WA where subsp. 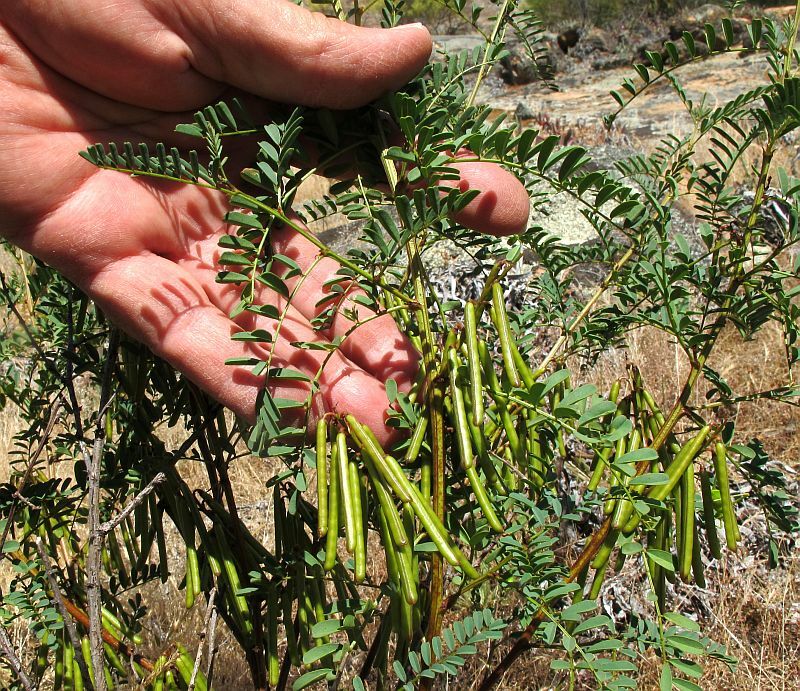 australis is no longer recognised as part of the WA flora. Subsp. hesperia and subsp. australis differ from each other primarily in their foliage, where the former has leaves with 17–25 leaflets, each to only 10 mm (3/8”) in length; whereas subsp. australis has 7–15 leaflets that vary between 10–40 mm (3/8” – 11/2”) in length. There are other less noticeable differences, which I have placed after the reference below. 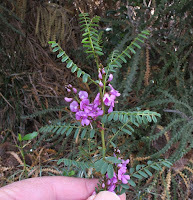 Indigofera australis subsp. 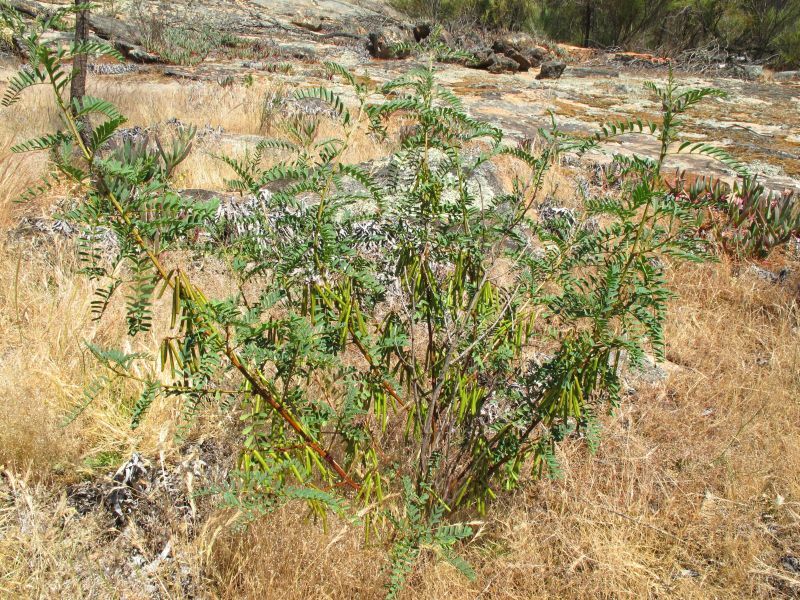 hesperia is usually found on or around rocky outcrops, especially after fire, where it survives for several years before diminishing in number as plants mature, whilst the cube shaped seed await another fire that will simulate fresh germination. Locally it grows to a little over a metre (4’) in height and has attractive bright pink to purple flowers that are used by Craft people to produce a deep blue dye to colour textiles. In WA flowering is usually between July and September, but local weather conditions would influence the exact timing. 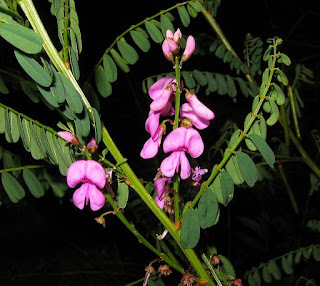 Indigofera is part of the very large and highly diverse Fabaceae family, although depending on the classification system being used, it may also be listed under Papilionaceae.